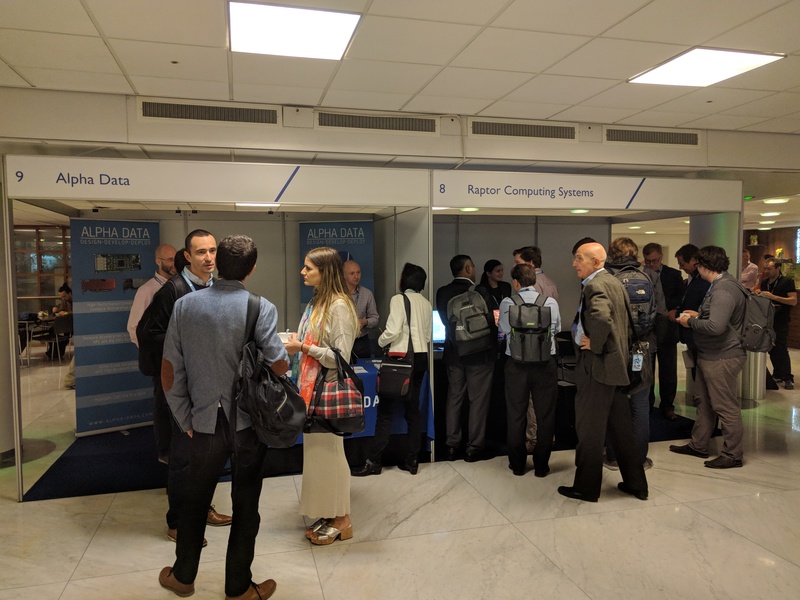 First day’s tracks have been focused on the 5 topics AI/ML, accelerators(FPGAs), OpenBMC, plugfest and AI hackathon, from which I have chosen the FPGA/Accelerator one to attend as there has been sharkcz present at the event and been attending the OpenBMC track. Whole day has been filled with talks detailing available HW accelerators and FPGAs and how to leverage them, to no surprise. 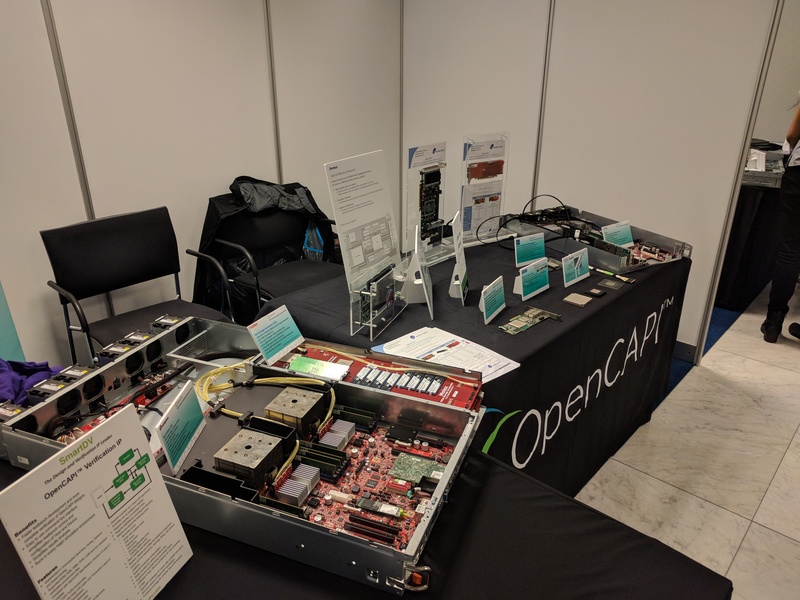 All of the mentioned accelerators have been leveraging the OpenCAPI that compared to the PCIe v4 offers higher bandwidth and lower latencies and therefore higher throughput for most of the applications. In my opinion most interesting idea apart of notes on using FPGAs with HBM and different frameworks that ease integration of FPGAs/accelerators in to the applications, has been idea on enabling hosts to share system memory over the network. So that CPU-heavy nodes that have available free memory can provide it to the nodes that nodest that might have enough of the other resources, but lack available system memory, like some sort of more complex RDMA. The day has been wrapped up by panel discussion with people from Open Power Accelerator work group and OpenCAPI consortium. Unfortunately I haven’t noticed any of these cool accelerators to be really Open or having Open toolchains. Second day has been more mixed with not that strongly pronounced tracks. I have had my talk later in the afternoon. Day have been kicked off with foundation members keynotes amon other Red Hat mentioned availability of enterprise OpenStack and OpenShift for Power and Raptor Engineering unveiled Blackbird, lower cost Power9 workstation motherboard. After that I have attended talks that covered the booting process of the Power system from starting service processor to kexec-ing the final kernel, optimizing code for Power, how Power machines and super computers based on them could be power efficient and bench-marking SQL performance on the Power. I would recommend watching recordings of all of them. My talk has been scheduled second to last. I have covered what are we doing and wanting to achieve on multi-arch side in Fedora in regards to containers and OpenShift and challenges along the way, that being put simply is parity with x86_64. Audience has been bit smaller that I have anticipated, though I should have expected that as the conference has been more geared towards the ML and academics in general. 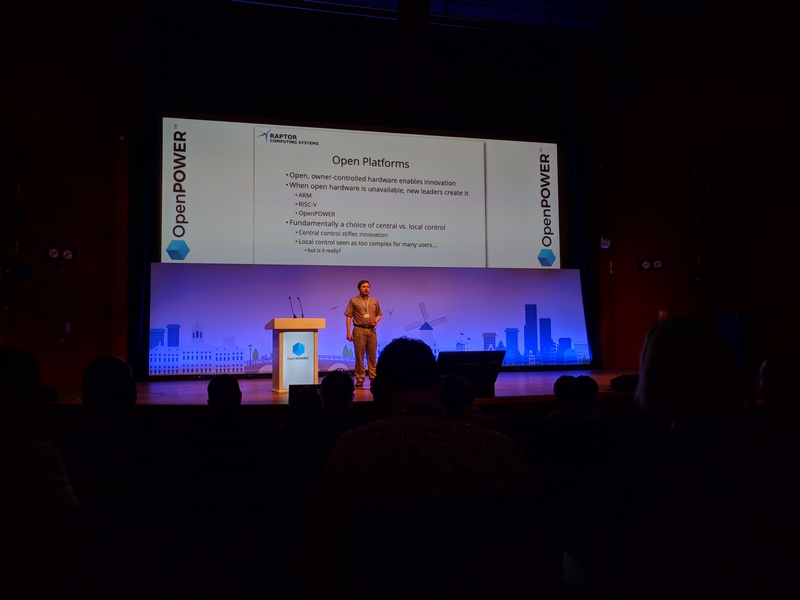 Closing talk on of the second day on this track has been by Jeff Scheels about how the OpenPower foundation is delivering, managing and generating their docs. You can see the schedule of the event along with slide decks here and talks recording are published on the Open Power foundation youtube channel here. I would like to thank Red Hat, IBM and Fedora Mindshare for supporting and enabling me to attend this conference. And as shameless plug on the end, if you are interested in the PowerPC workstation visit or watch recording of sharkcz’s talk about it at upcoming Devconf.cz.